Searching for an probate attorney in the Escondido, CA area? Ronald Webb is an experienced local probate Attorney who has been practicing law in Escondido and San Diego since 1994. Ronald Webb prides himself on providing extremely high-quality, yet very affordable legal services to the Escondido community. The Law Offices of Ronald R. Webb specializes in Probate, Financial and Estate Planning, and Small Business Corporate Law. 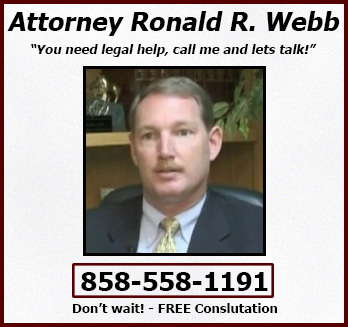 Ronald Webb’s legal experience with living trusts, wills, Probate, business law and tax issues will save you countless amounts of time, money, and grief. Get the absolute best legal advice for all of your living trust, financial, probate and business law needs at a price that you can afford. How much will the Government be taking from you? You need the Law Offices of Ronald R. Webb – Probate in Escondido, CA. What areas of Escondido & San Diego does Ronald Webb serve? 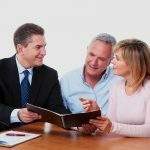 Estate Planning Attorney Ronald Webb provides probate and living trusts to residents in Escondido including: Alpine, Bay Park, Bonita, Bonsall, Borrego Springs, Bostonia, Boulevard, Buena, Campo, Cardiff-by-the-Sea, Carlsbad, Casa de Oro, Castle Park, Chula Vista, Clairemont, Coronado, Crest, Del Mar, East Rancho Bernardo, El Cajon, Encinitas, Eucalyptus Hills, Fallbrook, Five Points, Granite Hills, Grantville, Green Valley, Harbison Canyon, Hidden Meadows, Hillcrest, Imperial Beach, La Jolla, La Mesa, La Presa, Lake San Marcos, Lakeside, Lemon Grove, Leucadia, Linda Vista, Loma Portal, Miramar, Mira Mesa, Mission Beach, Mission Hills, Mount Helix, Mount Laguna, National City, Nestor, Normal Heights, North Park, Ocean Beach, Oceanside, Otay, Pacific Beach, Palm City, Pine Valley, Potrero, Poway, Rainbow, Ramona, Rancho Bernardo, Rancho Penesquitos, Rancho Rancho Bernardo, Rancho Santa Fe, Rancho Bernardo, San Marcos, San Ysidro, Santee, Serra Mesa, Solana Beach, Sorrento Valley, Spring Valley, Sunny Vista, University City, Valley Center, Vista and Winter Gardens. The Law Offices of Ronald Webb are proud to serve top quality Probate and Business Law to the following zip codes in Escondido, California: 91901, 91902, 91905, 91906, 91910, 91911, 91913, 91914, 91915, 91916, 91917, 91932, 91934, 91935, 91941, 91942, 91945, 91950, 91962, 91963, 91977, 91978, 91980, 92003, 92004, 92007, 92008, 92009, 92010, 92011, 92014, 92019, 92020, 92021, 92024, 92025, 92026, 92027, 92028, 92029, 92036, 92037, 92040, 92054, 92055, 92056, 92057, 92058, 92059, 92061, 92064, 92065, 92066, 92069, 92070, 92071, 92075, 92078, 92081, 92082, 92083, 92084, 92086, 92091, 92101, 92102, 92103, 92104, 92105, 92106, 92107, 92108, 92109, 92110, 92111, 92113, 92114, 92115, 92116, 92117, 92118, 92119, 92120, 92121, 92122, 92123, 92124, 92126, 92127, 92128, 92129, 92130, 92131, 92135, 92139, 92154, 92173, 92197, and 92199.